Would you spend 19 days hanging from a 3,000ft-high slab of rock in the name of climbing? No, we wouldn’t either. But we’re not Tommy Caldwell – legendary climber and first person to complete the Dawn Wall route on El Capitan in Yosemite, California. It took him seven years of planning, and almost three weeks on the wall, to complete with his climbing partner Kevin Jorgeson. Famous for being the sheerest, most blank route up the most iconic climbing wall in the world, the Dawn Wall has only been free climbed (climbing with ropes only as a safety precaution if you fall, rather than as an aid to your ascent) by three people: Caldwell, his climbing partner Jorgeson and Czech athlete Adam Ondra. It's the subject of a film (also called The Dawn Wall) and Caldwell's book, The Push. 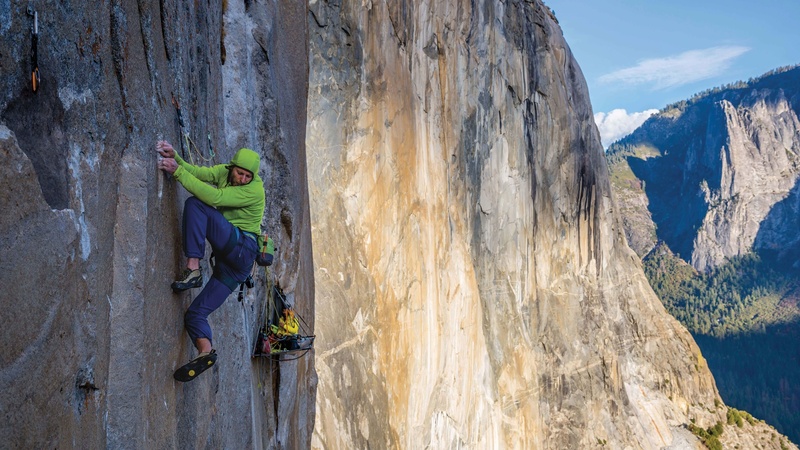 As well as climbing the Dawn Wall, Caldwell has made many first ascents on some of the USA’s hardest sport and trad climbing routes over the course of his career. Along the way, he’s been held hostage by militants in Kyrgyzstan, and lost an index finger in a DIY accident – yet somehow he remains one of the world’s best climbers. 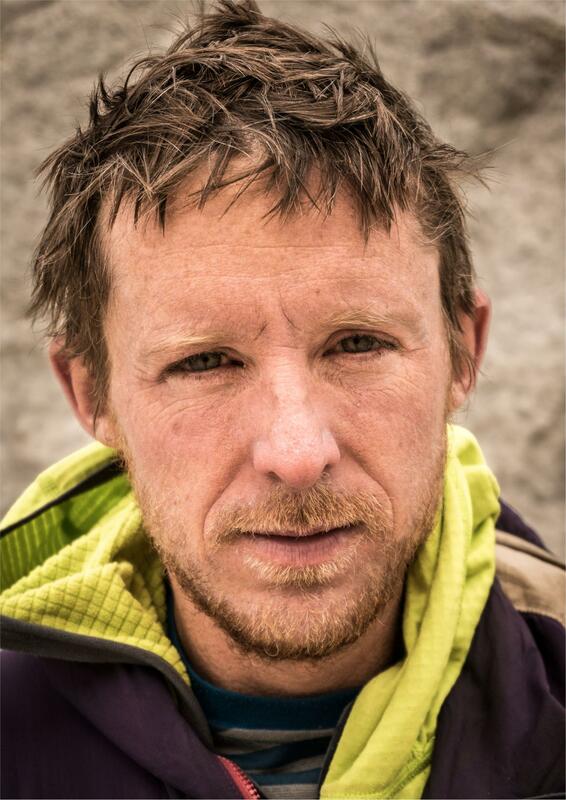 We caught up with him while he was away on holiday with his family in France – they were just heading out climbing. We spent 19 days on the Dawn Wall. You don’t shower when you’re up there, because you can’t afford the water. The toilet is gross, you go in a bag, and then you have a little container you put it in, so your toilet is a few feet from you at all times – 19 days worth, and then you haul it up. A portaledge is a metal frame that enables you to hang from the wall and live up there. It’s about seven feet by three-and-a-half feet, so two people can sleep side by side in it. It’s pretty comfortable: a lot of people are like “whoa, it must be so scary”, but compared to actually climbing it feels really, really comfortable. When you spend so much time on a wall, you endure some relatively sketchy things. On the Dawn Wall, we were climbing in winter, and had to deal with quite a few ice falls: there were these big bombs of ice flying past us, and you’re looking at them thinking 'that looks pretty deadly'. I have a very fond memory of my last morning on the Dawn Wall. We woke up near the top of El Capitan, and after seven years, I knew that success that day was inevitable – we were going to top out that day. Me and Kevin were sitting on our portaledge, and the sun hit that part of the wall first; it’s the first thing it hits in the whole Yosemite Valley. It was January, and the rest of the valley was encrusted with ice below us, and we’re just sitting there, jacked up with coffee in the sunlight: it was glorious. I think often beauty is defined by the circumstance, and that was a good one. I love being up there, just enjoying the view and hanging out. You’re in the middle of a very intense-seeming environment, but it’s quite relaxed – it’s a cool existence. Obsession is a curious thing. In 2012 I made an attempt on the Dawn Wall that failed terribly and wrote this shortly afterwards: "I sometimes wonder about the merits of devoting so much of myself to a singular climbing objective. Much of the time it beats me down, leaves me hanging my head in despair. But then there are the moments that bring me to life. When excitement wells up in my chest in a way that doesn’t happen in everyday life. Today my fingertips were cracked and bleeding. I made no progress despite great conditions. Now I am on the ground and can hardly contain my excitement to get back on the wall"
Sometimes, if the love of the journey is greater than the fear of failure, a kind of perseverance can be found. I had to let go of the goal and put brotherhood ahead of the personal in order to succeed. In January of 2015, after seven years of failure, Kevin Jorgeson and I finally topped out the Dawn Wall. I doubt I will find another climb that moves me as much as the Dawn Wall. But then again, you never know.